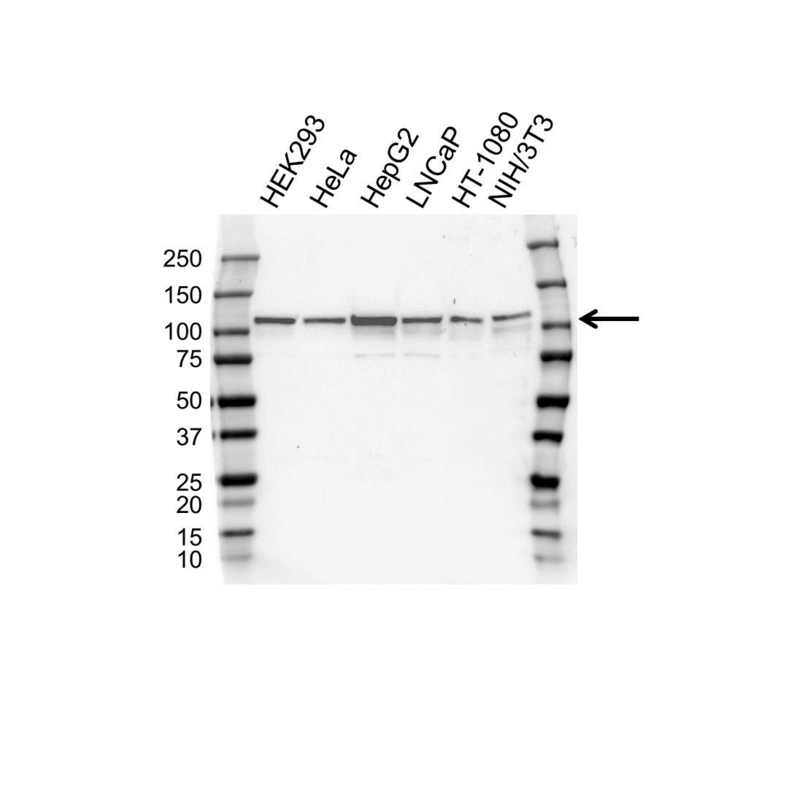 XRN2 antibody recognizes XRN2, also known as DHP protein, 5'-3' exoribonuclease 2, or Dhm1-like protein (mouse homolog). Mouse anti Human XRN2 antibody recognizes XRN2 , also known as DHP protein, 5'-3' exoribonuclease 2 and Dhm1-like protein (mouse homolog). XRN2 shares similarity with the mouse Dhm1 and the yeast dhp1 gene. The yeast gene is involved in homologous recombination and RNA metabolism, such as RNA synthesis and RNA trafficking. Complementation studies show that Dhm1 has a similar function in mouse as dhp1. The function of the human gene has not yet been determined. Transcript variants encoding different isoforms have been noted for XRN2; however, their full-length nature is not known (provided by RefSeq, Jul 2008). Mouse anti Human XRN2 antibody detects a band of 110 kDa. The antibody has been extensively validated for western blotting using whole cell lysates.